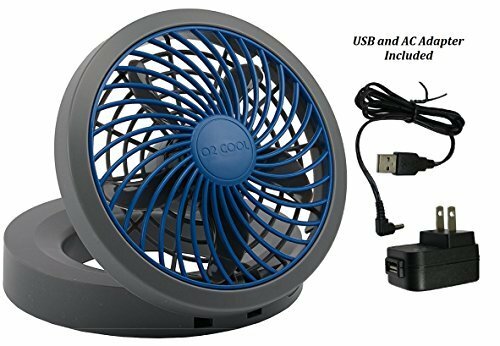 OVERVIEW O2COOL's fans include a range of sizes, multiple power source options, patented fan blades for efficient operation and compact designs that allow you to take the cool anywhere you want to go. Features Include: Dual power sources: Plug-in with the AC adapter (included) or use with USB cable (included). Powerful fan offers quiet cooling. Tilts for directional air flow. Compact folding design makes it easy to carry and store. Perfect for home, office and coffee shop. If you have any questions about this product by O2COOL, contact us by completing and submitting the form below. If you are looking for a specif part number, please include it with your message.